Confusion has ensued after Hillary Clinton’s running mate Tim Kaine told reporters on Friday that he supports the Hyde Amendment just days after spokespersons said that Kaine stood behind Clinton’s goal to repeal it. 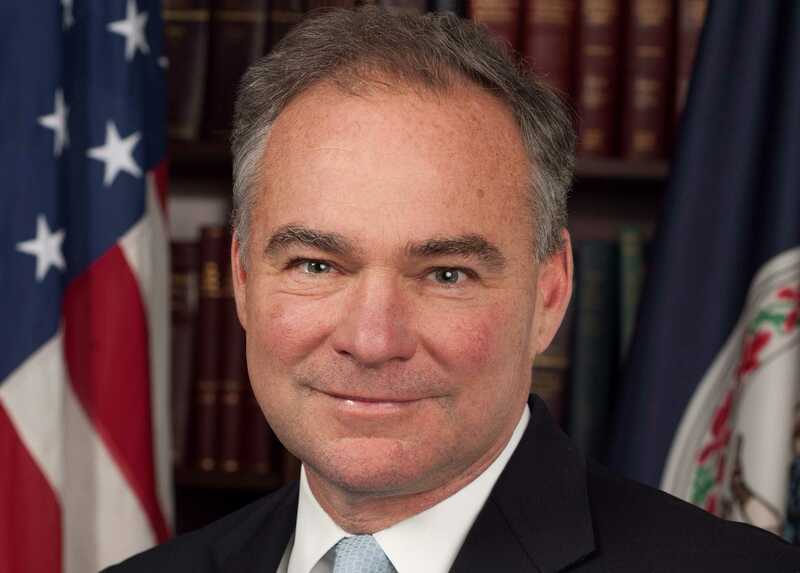 As previously reported, a spokesperson for Clinton stated this week that Kaine, a Roman Catholic who personally opposes abortion but believes women should have the “right to choose,” advised that he would support the repeal of the Hyde Amendment. “He has said that he will stand with Secretary Clinton to defend a woman’s right to choose, to repeal the Hyde Amendment,” the unnamed spokesperson stated. A spokesperson for Kaine confirmed the report days later. “No funds authorized or appropriated by federal law, and none of the funds in any trust fund to which funds are authorized or appropriated by federal law, shall be expended for any abortion,” the 1976 law reads. But on Friday, during an interview on CNN’s New Day with host Alisyn Camerota, Kaine said that he supports the Hyde Amendment. “I have been for the Hyde Amendment. I haven’t changed my position on that,” he stated. “You’re still for it? Your still for banning,” Camerota said. “I have not changed my position. Have not changed my position on that,” Kaine repeated. NARAL President Ilyse Hogue soon released a statement expressing disappointment with his remarks. “Senator Kaine’s statement earlier today that he opposes repealing the discriminatory Hyde amendment was deeply disappointing,” she said. But Planned Parenthood President Cecile Richards said that she had confidence Kaine would back efforts to repeal. Karen Finney, a spokeswoman for the Clinton campaign, told CNN following the interview that what Kaine really meant was that he personally supports the Hyde Amendment but that he is willing to back Clinton on the matter. “As Tim Kaine has said, while he supports the Hyde Amendment, he has also made it clear that he is fully committed to Hillary Clinton’s policy agenda, which he understands includes repeal of Hyde,” she stated. Clinton had outlined last month during a speech before Planned Parenthood supporters that she would like to see Hyde repealed. “Let’s repeal laws like the Hyde Amendment that make it nearly impossible, make it nearly impossible for low-income women, disproportionately women of color, to exercise their full reproductive rights,” she stated. The Democratic Party platform adopted this week likewise expresses support of the repeal of the amendment. “We will continue to stand up to Republican efforts to defund Planned Parenthood health centers, which provide critical health services to millions of people. We will continue to oppose—and seek to overturn—federal and state laws and policies that impede a woman’s access to abortion, including by repealing the Hyde Amendment,” it reads. The Democratic Party platform also advocated the repeal of the Global Gag Rule and the Helms Amendment, which ban U.S. capital from being used to fund overseas abortions.